A walk through the woods can be more dangerous than one might expect. The Virginia Peninsula is prime territory for the confluence of several species of disease carrying parasites; aka ticks. That means Greater Williamsburg in particular could see a rise in diseases carried by ticks. Bacterial infections such as Lyme disease, ehrlichiosis, and Rocky Mountain Spotted Fever are spread by ticks in Virginia. Since 2009, Lyme disease has earned either the first or second highest “disease ranking” by the Virginia Department of Health. While the ranking excludes cases of hepatitis, the number of cases increased by nearly half between 2009 and 2016, according to the Virginia Department of Health’s website. The diseases can cause a variety of symptoms in humans, ranging from fever and joint pain to Gangrene and paralysis. “I think there’s two major changes going on, I do think that in the next five years I think Lyme Disease is going to come through the Williamsburg-Yorktown area, for sure. What we have now is kind of a low level number of cases. 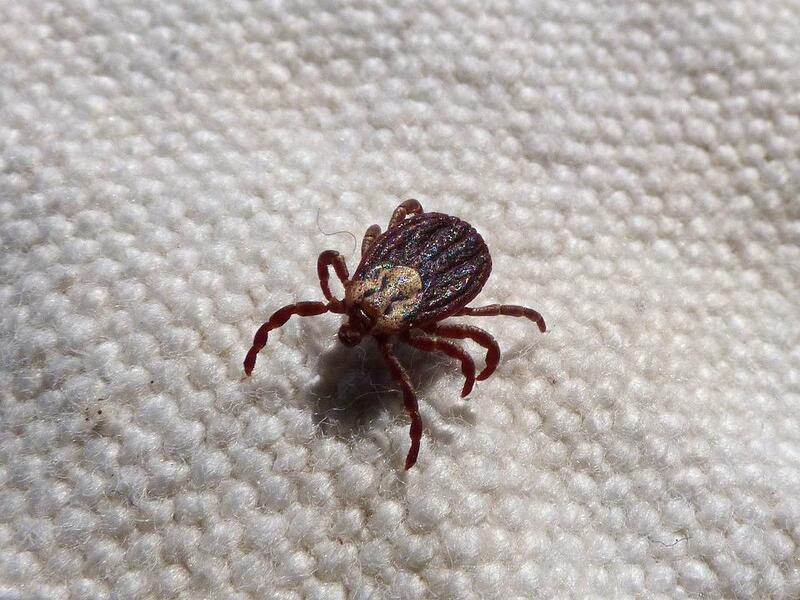 Parasites such as ticks feed on blood at least once in each of their life stages. That means most ticks are trying to find a host to feed on three times in their lives, according to Gaff. When a tick finds a host, it can transmit diseases while it is engorged — while it is biting its host. Increases in the prevalence of Lyme disease has already stormed through parts of the Commonwealth, particularly west of the Blue Ridge Mountains. As tick populations grow throughout the state, the threat of increased interaction between the parasites and humans grows as well, according to Gaff. The growing populations of ticks can be in part correlated in the massive growth of the deer population statewide since 1980, according to Gaff. “From a tick’s perspective, white-tailed deer are like McDonald’s,” Gaff said. In 1980, the Virginia Department of Game and Inland Fisheries estimated the state’s’ population of white-tailed deer to be about 425,000. In 2004, the department estimated the population to have at least doubled. Estimates ranged from 850,000 deer to more than one million. A reduction in the deer population will reduce a valuable source of food for ticks, state epidemiologist David Gaines wrote in 2016. “If you have a large deer population due to suburbanization then you’ll have a large tick population,” Gaines said. As the deer population has skyrocketed, new varieties of the arachnid have moved into Virginia. The three main species of ticks are Lone Star ticks, black-legged ticks (commonly referred to as deer ticks), and the American dog ticks, according to Gaff. Gaines said a variant of the black-legged tick has moved into Virginia from the northern states, and it more aggressively attempts to feed on humans. The northern-variant is apt to climb several inches above the ground in an attempt to find a meal, whereas the southern-variant lay in wait under piles of leaves to prey on lizards, Gaines said. While new variants and species of ticks are looking to make Virginia home, ticks aren’t new, and awareness of the parasites can reduce the spread of disease, according to Gaines. Anyone can be bit, but there are ways to reduce those chances, according to the Center for Disease Control and Prevention. Repellants such as DEET or Permethrin can dissuade ticks from latching on to clothes, according to the CDC. Wear light-colored clothing to make ticks more visible, and after coming indoors check for ticks, the CDC recommends. Stopping ticks from entering a suburban neighborhood can be as easy as putting a four to six inch barrier of mulch around a property, Gaff said. Story Re-posted From WYDaily. Written By Steve Roberts Jr on November 20, 2017.